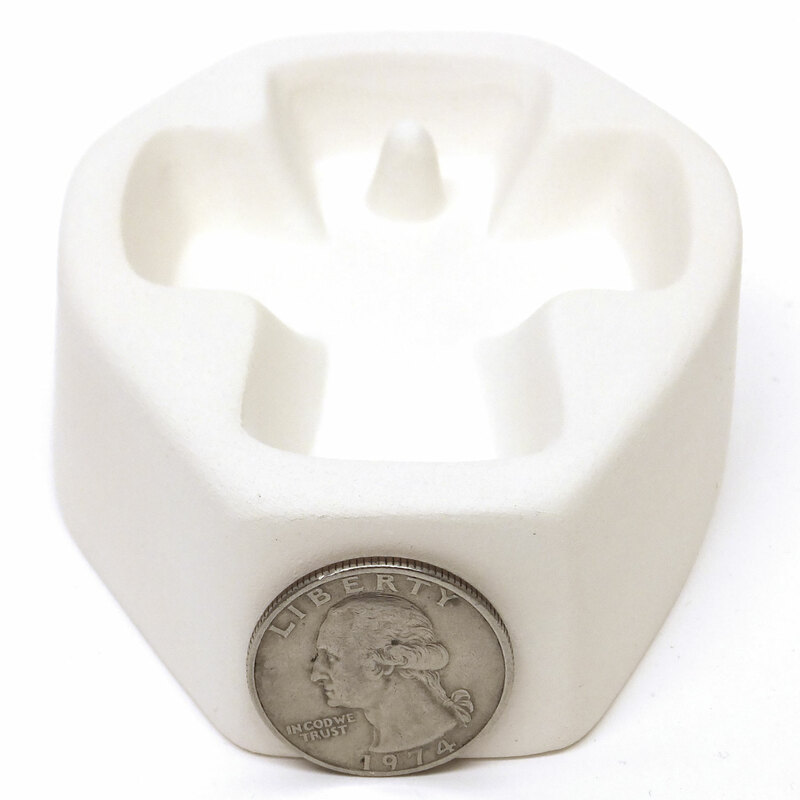 Finish pieces measure 2" x 2-3/4"
Unique mold design creates openings in the casting. 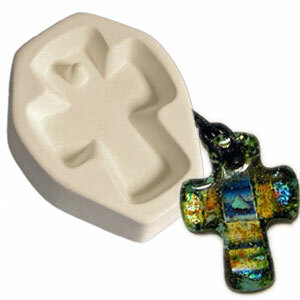 Fill pendant molds with glass frit, scrap and powders to create one-of-a-kind cast glass jewelry. The possibilities are endless! 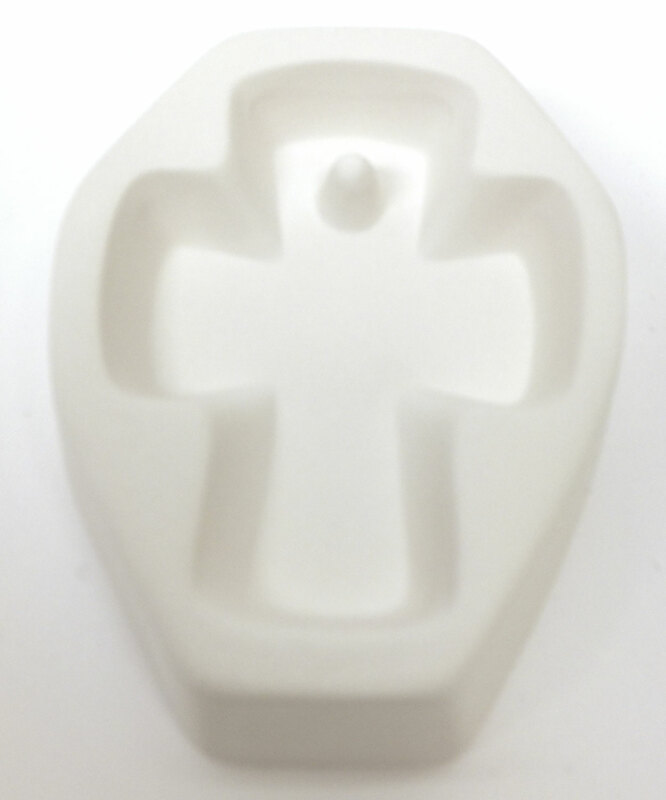 Coat molds with ZYP Boron Nitride Spray or casting mold primer before use. 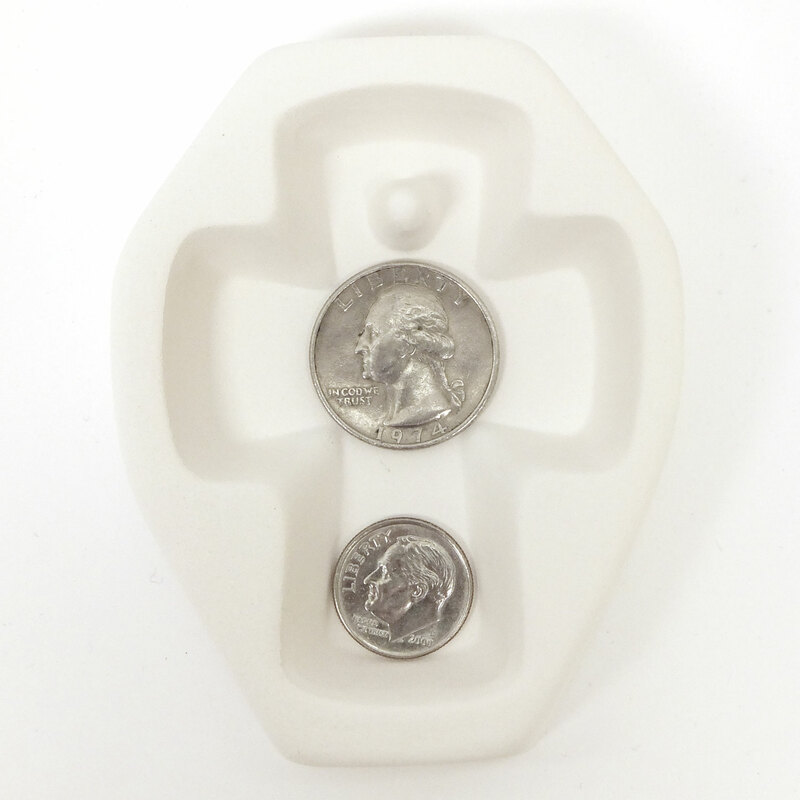 See size perspective of mold with quarter and dime images shown. Mold size is 3" x 3-1/3". Finish pieces measure 2" x 2-3/4". 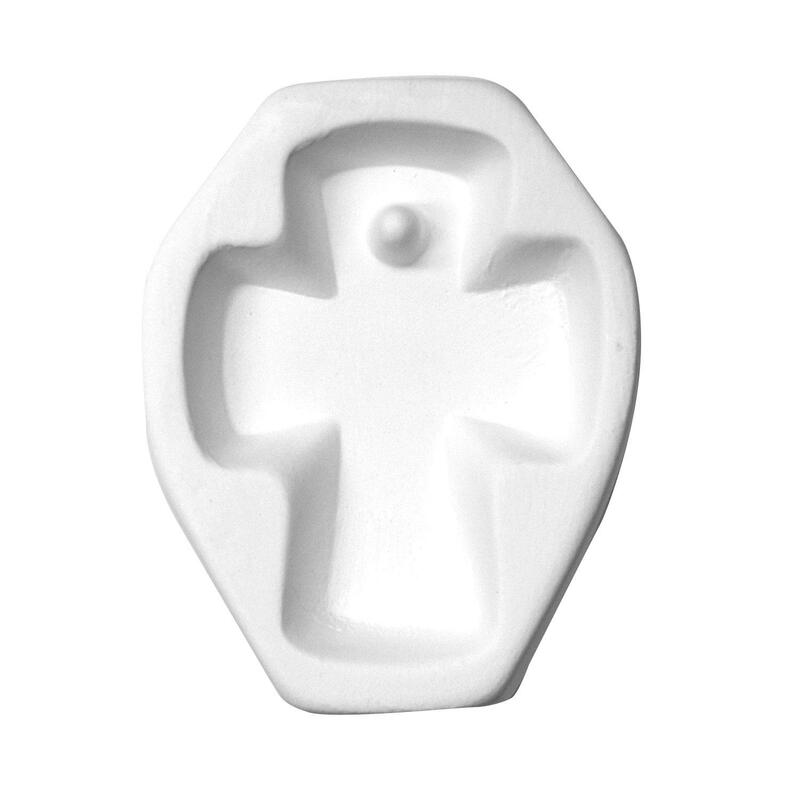 Durable ceramic molds can be used many times. 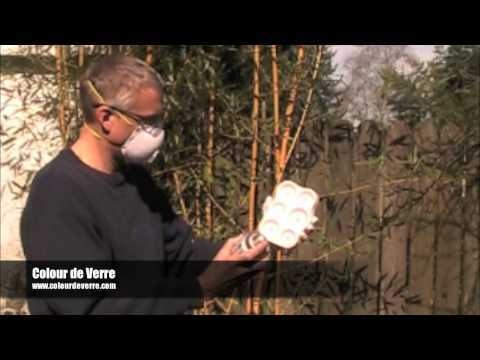 Mold uses 24 grams of frit or scrap glass. 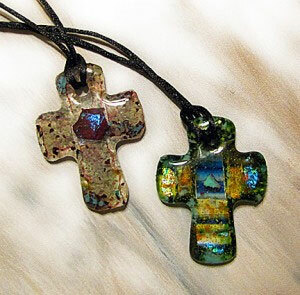 Images courtesy of Creative Paradise Inc.
Other Thoughts : This size makes a better Christmas tree ornament than a pendant. 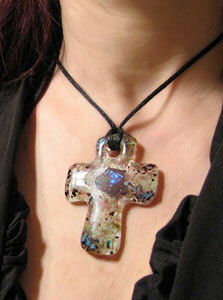 Although the one's I made are very attractive, I'd feel uncomfortable sporting such a large cross around my neck.